John Piper once said, “God brings books at their appointed times. 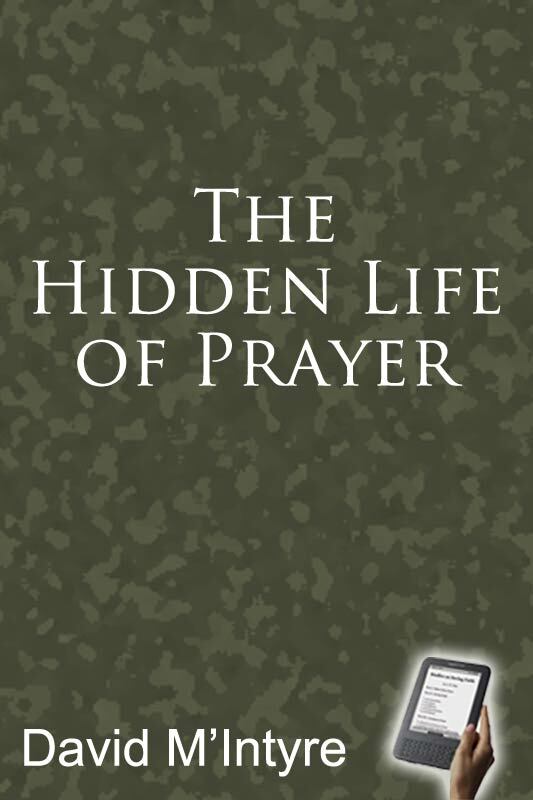 The Hidden Life of Prayer arrived late but well-timed. This little jewel-strewn tapestry has done for me at 64 what Bounds’ Power Through Prayer did at 34. I could be ashamed that I need inspiration for the highest privilege. But I choose to be thankful.” Private or secret prayer is the life-blood of the Christian. The great men and women of God down through the ages have testified to the effectiveness of this in their lives. Some like Martin Luther, have said that they could not survive a busy day without spending 2-3 hours alone with God. Drawing on the experiences of people like Luther, Spurgeon, Muller, Whitefield and Wesley, the author presses the case for a greater commitment to prayer. His advice may not only transform your life, it could be a catalyst towards a change in the world around you. One whose life is spent in fellowship with God will constantly seek and find opportunities for swift and frequently-recurring approaches to the throne of grace. The apostles bring every duty under the cross; at the name of Jesus their loyal souls soar heavenward in adoration and in praise. The early Christians never met without invoking a benediction; they never parted without prayer. The saints of the Middle Ages allowed each passing incident to summon them to intercession-the shadow on the dial, the church-bell, the flight of the swallow, the rising of the sun, the falling of a leaf. The covenant which Sir Thomas Browne made with himself is well-known, but one may venture to refer to it once more: "To pray in all places where quietness inviteth; in any house, highway, or street; and to know no street in this city that may not witness that I have not forgotten God and my Saviour in it; and that no parish or town where I have been may not say the like. To take occasion of praying upon the sight of any church which I see, or pass by, as I ride about. To pray daily, and particularly for my sick patients, and for all sick people under whose care soever. And at the entrance into the house of the sick to say, "The peace and the mercy of God be upon this house." After a sermon to make a prayer and desire a blessing, and to pray for the minister." And much more of a like nature. Once more, one who lives in the spirit of prayer will spend much time in retired and intimate communion with God. It is by such a deliberate engagement of prayer that the fresh springs of devotion which flow through the day are fed. For, although communion with God is the life-energy of the renewed nature, our souls "cleave to the dust," and devotion tends to grow formal-it becomes emptied of its spiritual content, and exhausts itself in outward acts. The Master reminds us of this grave peril, and informs us that the true defense against insincerity in our approach to God lies in the diligent exercise of private prayer.